Nowadays, it’s hard to do school homework without a laptop. So what happens when your daughter goes to college? No matter what major she takes, today’s college student life is even more digitalized, with students assignments given online by professors, your daughter will need to do various research and write her papers using a good computer. A laptop is light enough to carry anywhere while being very functional. Most modern laptops for students have a stylish look and come in a selection of colors, so there is always a way to suit your daughter’s style. First, you need to check if your daughter has made up a choice or a selection of choices. She may have been browsing herself or want a laptop similar to her friend’s. As she will use it pretty much everyday and a laptop is a very visible part of college student life, she must be comfortable with the laptop being around her most of the time. There are macOS laptops from Apple and there are Windows laptops from PC makers. With Apple, the choice boils down to MacBook, MacBook Air, or MacBook Pro. Good PC brands include Dell, HP, Lenovo, and Asus. Generally, unless her study requires specific software that are only available exclusively for macOS or Windows, the choice comes down to personal preference. Creative & Arts majors will usually use MacBooks due to better support of software for graphic design and music. Some branches of engineering require Windows-only software to be installed. In general, digital arts & design, science, and engineering majors will require better processing power, than a major in literature or public relations. The 3 most important specifications that you should know are: processor, RAM (memory), and storage type. Intel processors come in Celeron, Pentium, Core i3/m3, Core i5/m5, and Core i7/m7 variants, in order of performance (and price). Avoid the Celeron and Pentium ones as they don’t have necessary performance for school or college work. 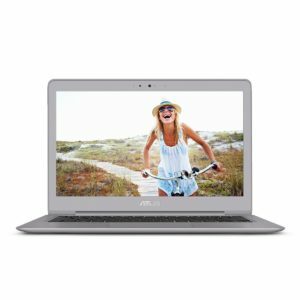 A laptop with Intel Core i3/m3 processor is good budget for many student purposes. If your daughter’s study requires better performance, I recommend at least a Core i5/m5 processor or you can go for Core i7/m7 one if you have the budget. There are also processors from AMD brand, with similar performance to Intel ones but with less expensive pricing. RAM starts at 4 GB which is adequate for basic tasks like web browsing, watching videos, and writing assignments, but for convenient usage your daughter may need 8 GB RAM. Heavy usage will require 16 GB of RAM. As for storage, most laptops come with 1 TB of spinning/regular hard drive called HDD, which is good enough for most tasks. However, if budget allows it, it’s always a good idea to upgrade to an SSD based storage, which is much faster (about 5x times faster than HDD). The minimum SSD storage size needed for practical usage is 256 GB, and you can upgrade to 512 GB or 1 TB SSD. As for price, MacBook laptops tend to be pricier for the similar specifications than Windows laptops. However, price shouldn’t be the only deciding factor here. As there are valid reasons to require a MacBook laptop, especially usage of Mac-specific software. 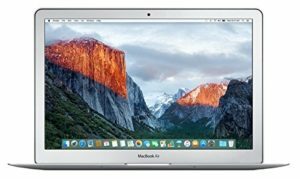 An Apple MacBook is the go-to laptop that has a good balance between performance, looks, and price. Apple MacBook Air: lightest laptop for casual use. For most cases the thin and lightweight MacBook Air will be sufficient, it also looks stylish. Because it is light, it can be taken frequently and conveniently anywhere. Apple MacBook Pro: laptop for design and creative arts professionals. 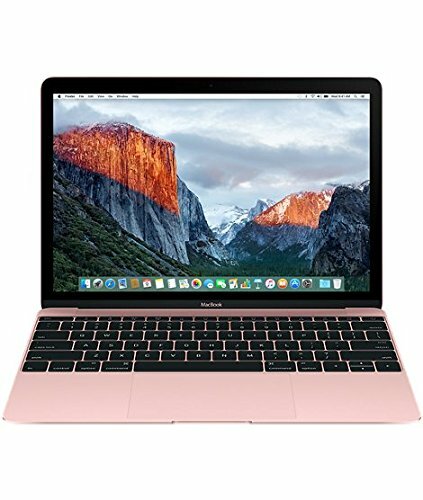 There are few cases when a MacBook Pro is a necessary buy, and that is if your daughter majors in graphic design, music, media studies, broadcasting, and film production. 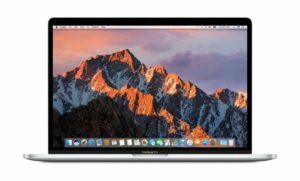 MacBook Pro laptops are the most expensive of the MacBook product line, and that is because it’s packed with the highest-performance Intel processors, SSD storage, and at least 8 GB of RAM. A MacBook Pro is also slightly bigger, heavier and has less battery life than other MacBooks (even though it comes with big battery, the power required to run it also increases). Your daughter should already know this, as it is a fact of life shared by all her classmates. 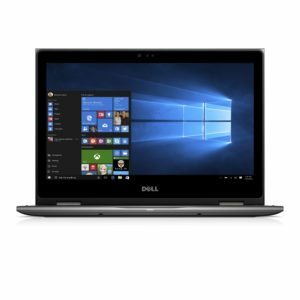 Dell Inspiron laptops are economic and functional. 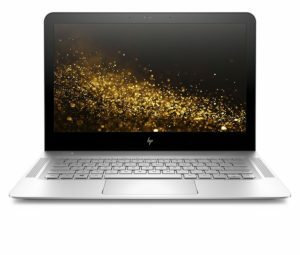 HP Envy laptop is premium-looking and versatile. 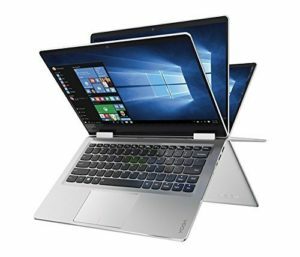 Lenovo Yoga convertible (multipurpose) laptop is known for its strong build and stylish looks. Asus ZenBook series laptops combine slick looks with high performance. What is your experience in choosing a laptop for your daughter? Do you have any questions not answered in this article? If so, let me know in the comments and I’ll try to be as helpful as I can.